On January 5, 1971, Sonny Liston was found dead in his home-of an apparent heroin overdose. But no one close to Liston believed that his death was accidental. 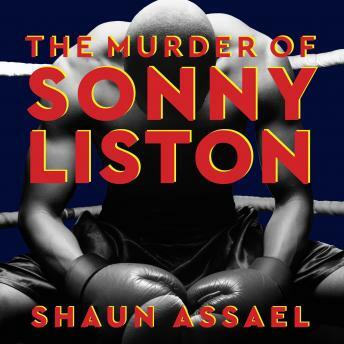 Digging deep into a life that Liston tried hard to hide, Shaun Assael treats the boxer's death as a cold case. The result is a riveting whodunit that evokes a glorious and grimy era of Las Vegas. Elvis Presley was playing two shows a night at the International. Howard Hughes was running his empire from the penthouse suite of the Desert Inn. And middle America was flocking to the Strip, transforming it from an exclusive playground for the mob to a mecca for corporate dollars. But the city was also rotting from within. Heroin was pouring over the border from Mexico, and the segregated Westside was on the cusp of a race war. Driving through town with the top of his pink Cadillac down, Liston was the one celebrity who was unafraid to bridge the two sides of Las Vegas. Cashing in on his fading notoriety in the casinos, he was dealing drugs, working for a crime syndicate, and trying to break into Hollywood-all with a boxer's faith that he could duck any threat, slip any punch. Heroin addiction was the only knockout blow he didn't see coming.